This Week’s House Priority : CHIP, DACA, Government Funding, or 5 Year Prison Term for an Abortion ? Or is it prep time for November’s election ? If you have followed the headlines, you are probably aware that this week, the funding for the government will end January 19th without congressional action. Most likely, you are also aware that funding for the Children’s Health Insurance Program (CHIP) will run out in March impacting 8.9 million American families. March is also the Trump-imposed deadline for Congress to enact legislation to address DACA – Deferred Action for Childhood Arrivals — impacting 800,000 people. So what is the Republican-controlled House rushing to get enacted ? H.R. 4712 Born-Alive Abortion Survivors Protection Act. If you think that you may have been done this road before, well you have. In September, 2015, the Republican-controlled House was facing another government shutdown vote … but instead it debated and voted to approve H. R. 3504 Born-Alive Abortion Survivors Protection Act. That 2015 bill never was approved by the Republican-controlled Senate. That 2015 bill was opposed by the American Congress of Obstetricians and Gynecologists, which represents 58,000 physicians, because it represents a gross interference in the practice of medicine, inserting a politician between a woman and her doctor. That 2015 bill provided for that any individual who violates the provisions would be subject to a criminal fine, up to five years in prison, or both. That 2015 bill (HR 3504) was authored by Congressman Trent Franks. Hmmm … does the name Trent Franks sound familiar ? Well, maybe because you read last month, that Trent Franks has announced that he “will be leaving Congress as of January 31, 2018” after being informed that the House Ethics Committee had opened an investigation into allegations of sexual harassment from two female former staffers. So you ask yourself … if Trent Franks authored HR 3504 in 2015, why didn’t he offer a new bill this term with the White House being controlled by the Republicans ? Well, he did … on January 3, 2017, Congressman Franks authored H. R. 37 Born-Alive Abortion Survivors Protection Act. The House has taken any action on that bill … they have been focused on repealing ObamaCare, allowing CHIP to expire, and providing tax cuts for corporations. But this week facing another government funding crisis, the House is setting up to vote on HR 4712. Whoa …. why are they voting on HR 4712 and not HR 37 ? Reading the bills, they appear to be the same word-for-word. Ah, the difference … who is the author. HR 37 is offered by resigning CongressMan Trent Franks while HR 4712 is offered by CongressWoman Marsha Blackburn. 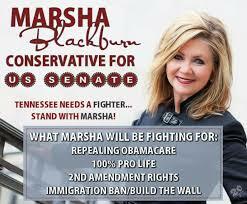 Fun Fact … Representative Blackburn is seeking the US Senate seat replacing Republican Bob Corker. And what better send off for Trent Franks than to pass legislation that he had worked so hard on and also to send a message to all the Tennessee Pro-Life voters that Marsha Blackburn is your candidate. 2018 … Déjà Vu … as we can expect the House to again pass this bill as Tom Emmer and Erik Paulsen and every other Republican voted for it in 2015 and it to sit in the Senate inactive … except to be featured in various campaign pitches.